Lilabelle Lane: Progressing on "Passacaglia"
I have been playing with this one again. I have joined my two larger parts together (above) and then set to working on a side piece. and then two more Rosettes. It is growing and getting so close to a finish. I couldn't help but peg it up to see the stained glass effect. This was the view from my dining table a couple of nights ago. I could have quite easily sat there all night. 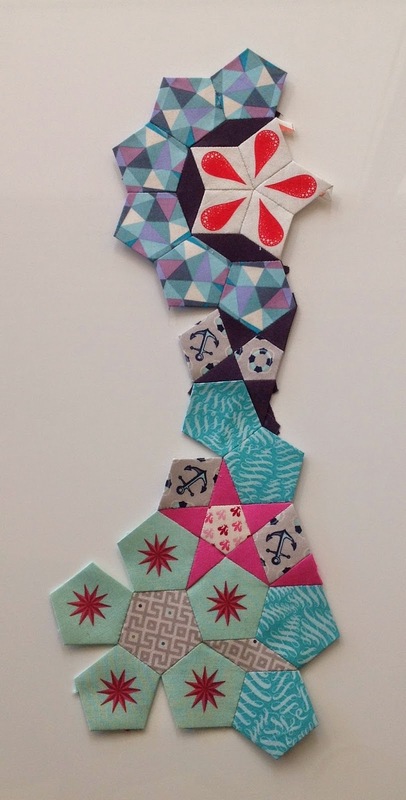 I have found out this morning that "Love Patchwork and Quilting" have put together an awsome recourse for this Quilt / EPP Fussy Cutting information if you want to go take a look. I was also flattered that they linked back to my blog. 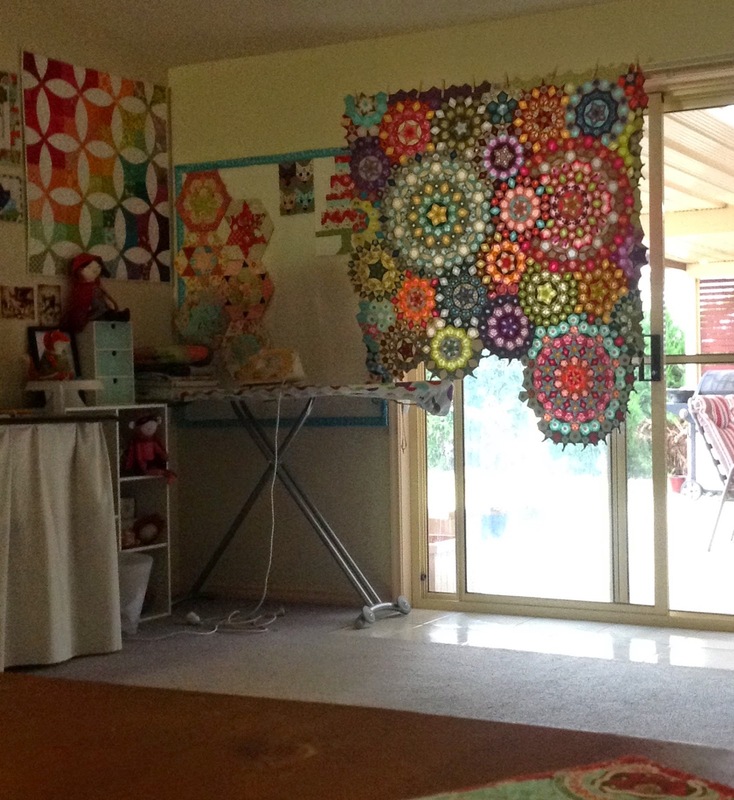 Huge thank you "Love Patchwork and Quilting"
If you are interested in their Recourse and guide for Fussy Cutting and EPP visit HERE. Also, if you are in Instagram and want to see more regular, as its happening updates on my progress I can be found by searching user "Lilabellelane"
Here are some hashtags that are also being used for this project. Wow, it looks stunning and you have made so much progress! Spectacular! I love seeing this one grow, you're doing a brilliant job Sharon! 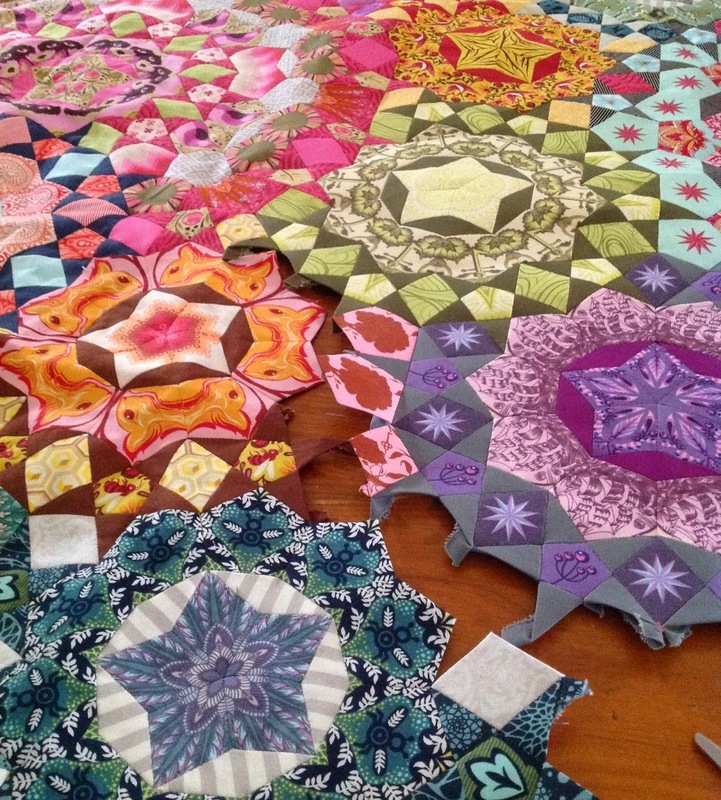 This is such an impressive quilt - it blows my mind! 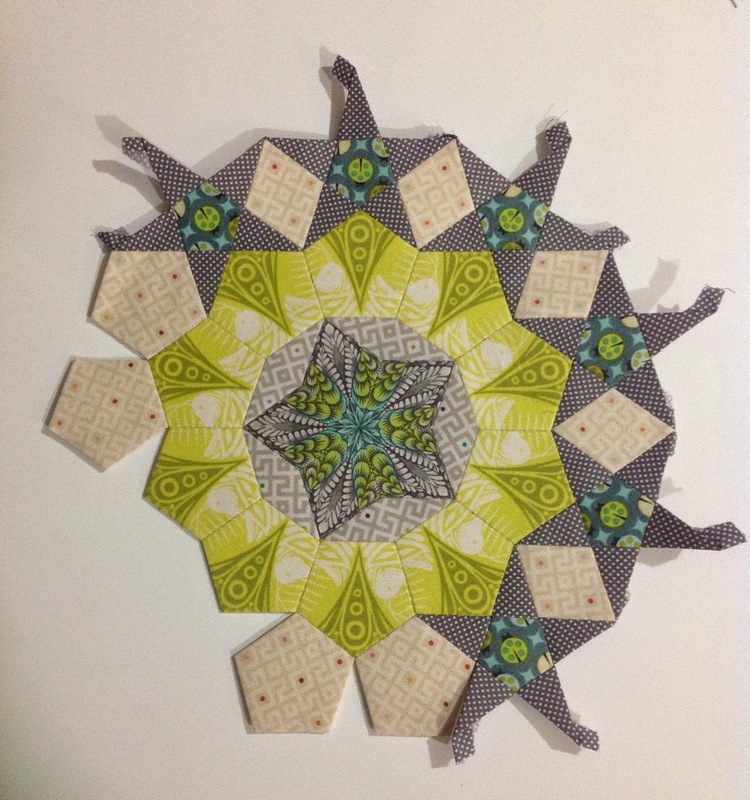 I just started EPP about a year ago and now have enough stars to begin assembling them with hexies. I'm hooked on EPP and now have my sister doing it, too. Thanks for sharing your progress with us. I am obsessed! This quilt is incredible. You've inspired me to start one of my own. Thanks. I've watched yours grow since you first started it.. I started one of my own in January. It's about halfway done now. 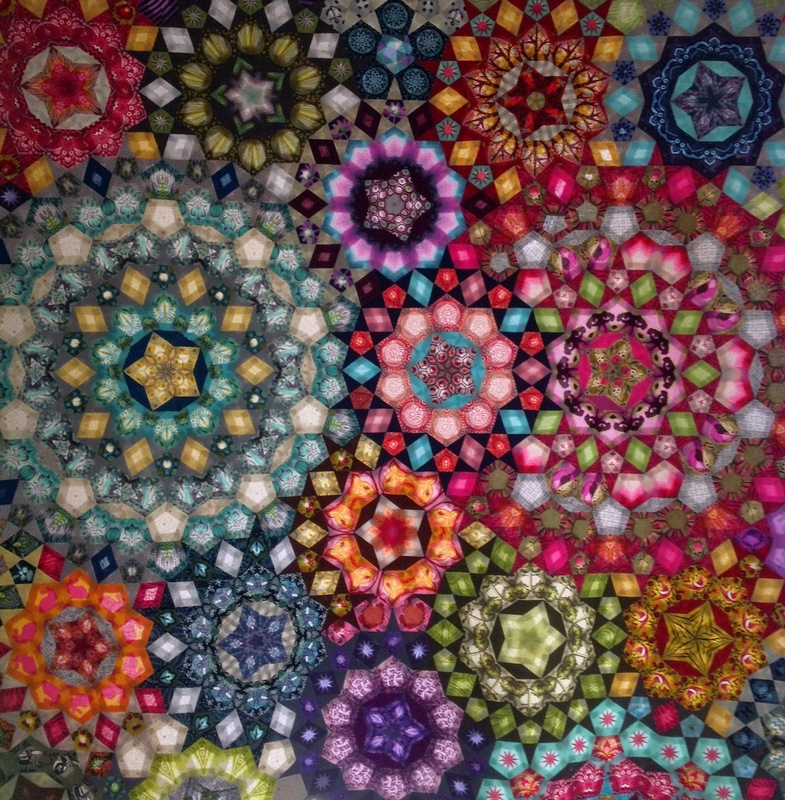 This is such a gorgeous quilt - I would love to get a new obsession like this. I have a question though. What is the minimum have to buy to get started, besides fabric, of course? There is the New Hexagon book, the book you showed, the papers, the acrylic template, etc. I'm not sure I can afford all of it but do want to get what I need to get started. Sharon I love your La Pass, it looks like little jewels. I have also made one with Tula Pink materials (which I love), I think mine looks more like fireworks. 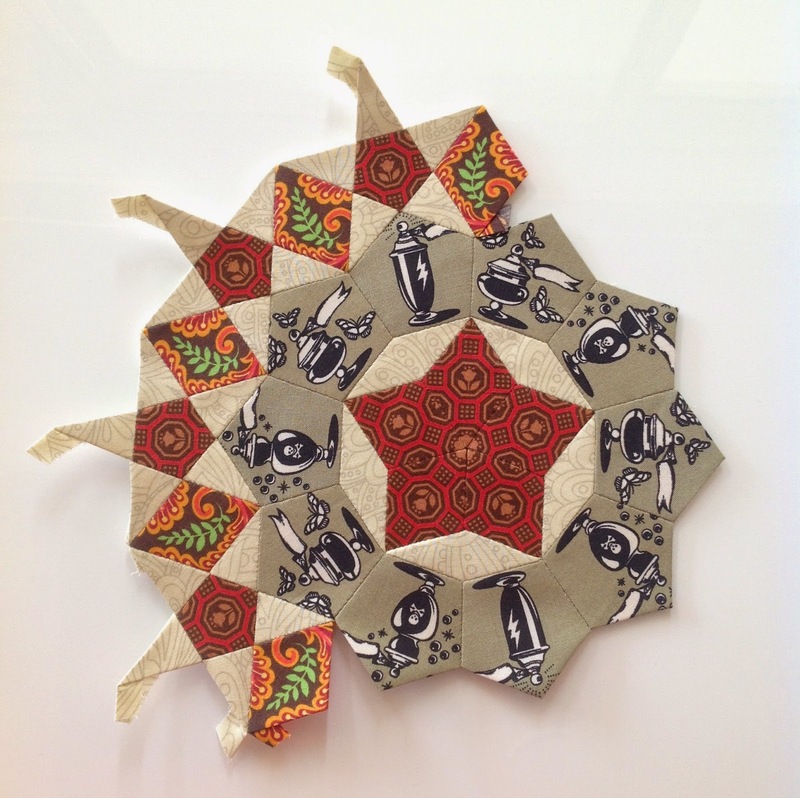 I really loved putting this quilt together and would even consider making another one.